When Microsoft released its latest version of the operating system, Windows 10, as a software-as-a-service platform, there was a lot of anxiety about the frequency of expected updates as well as uncertainty about the control mechanisms in place to protect enterprise deployments from unwanted change. However, there was an equally growing excitement about the promise that Microsoft's move holds: no more expensive and overwhelming big-bang migrations! The promise of Evergreen IT! Today, we want to look at what Evergreen IT is, what problems it solves, and what hurdles you might be facing on your path to achieving it. In the coming weeks, we will revisit this topic and learn more about the different approaches to creating Evergreen IT. But before we dive in, let's spend a minute defining what the term Evergreen IT actually means. What Does Evergreen IT Mean? A Definition. With many IT organizations struggling with inflexible and expensive legacy systems, the promise of an on-demand, self-updating infrastructure offering all the necessary agility, flexibility, and cost-effectiveness seems somewhat like the search for the Holy Grail. And just like the Holy Grail, we need to make sure we know exactly what we are talking about before we go searching for it. There are many different definitions and approaches to the concept of "Evergreen IT". We use PWC's approach and Microsoft's definition before attempting to render our own meaning. Back in 2009, PWC defined evergreen as the cross-section between on and off-premise cloud computing and orchestrated provisioning and management. We really like this early definition, as it visualizes the path to achieving perpetual IT management very clearly. "The Evergreen IT vision is a pattern of IT provisioning, architecture, and operational management designed to deliver loose coupling between logically distinct layers of the IT stack. It is indeed inspired by, and will eventually use, external cloud providers. However, the goal of Evergreen IT is not cloud computing per se. The goal is to transition IT operations from predominantly manual to predominantly automated processes driven by intelligent software. The result is an approach where incremental IT investment no longer creates legacy systems. Instead, each layer of the IT stack can be continually refreshed without worrying about interdependencies between layers." According to PWC, to make this possible, two technological advances are necessary: the use of virtualization to decouple legacy IT’s largely customized technology stack, and the formalization and modeling of data center operations to facilitate automation. Microsoft defines Evergreen IT in the following way: "Evergreen IT refers to running services comprised of components that are always up to date. Evergreen IT encompasses not only the services at the user level but all of the underlying infrastructures, whether on-site or outsourced. Many organizations believe that Evergreen IT holds promise for reducing the resources and energy they need to expend on providing the up-to-date and flexible services that their users are demanding." Evergreen IT is the perpetual migration of end-user software, hardware and associated services such as mailboxes, telephony, file storage and the infrastructure supporting the technology. It requires a combination of people, process, and technology to deliver optimal results and involves a budgetary and executive commitment to ensuring that no end-user technology is ever more than N-x (x to be defined by each organization) behind the currently available version within a pre-determined timeframe. For hardware, it means that every piece of physical equipment is kept within warranty or lease and is refreshed on a fixed timeline. The process means that the organizational processes are in place for procurement, licensing, scheduling, communications and deployment are in place and highly repeatable. For this, creating a set of tasks that are repeatable and in constant use will be vital, or as Gartner Analyst Kleynhans puts it, enterprises much have a "production-line model" of dealing with change. With regards to technology, this means that the information required to trigger an evergreen event such as a hardware replacement or software upgrade is continually available and updated. Additionally, the technology systems to support the processes identified earlier exist and are understood by every team that interacts with them. The goal is that a real-time understanding of the IT environment and its currency is always available, and that for all hardware or software that is outside of the defined evergreen thresholds, a project is running to perform the upgrade. Today, many IT departments are managing a diverse and hybrid IT landscape that is partially on-premises and partially in the cloud. Amidst constantly evolving business requirements, IT is tasked with reducing cost and the time required to deliver change to the end-users. However, as most IT landscapes are incredibly complex, the effort required to maintain a constant stream of new productivity and functionality is steadily increasing. The thought of the mountain of change to manage can become overwhelming. Evergreen IT process and implementation is the solution to this problem. But organizations will need to adjust their IT strategies and infrastructure to achieve the transformation. A few weeks ago, we tackled the question of how much a Windows 10 migration will cost enterprises, which is a big consideration for organizations embarking on the next major desktop transformation. Until now, desktop transformations meant migrating thousands of users in a tedious, incredibly complex project that surfaced with a big bang before disappearing for the next four or five years. Historically, OS migrations have been a cycle of camel-hump roll outs, from Windows 3.1 or 95 to Windows NT, Windows NT to Windows XP, Windows XP to Windows 7 and now Windows 7 to Windows 10. From a cost perspective, organizations are looking at a significant investment to get to Windows 10. Gartner, a leading analyst firm, quoted an estimated migration cost between $1,035 and $1,930 per user to replace Windows XP with Windows 7, while Forrester estimated $1,000 as the average expense. Based on our internal resource-based budgeting model, we estimate that the migration from Windows 7 to Windows 10 will be between 30% - 50% less — an estimated $693 per desktop, which is still a significant monetary amount. 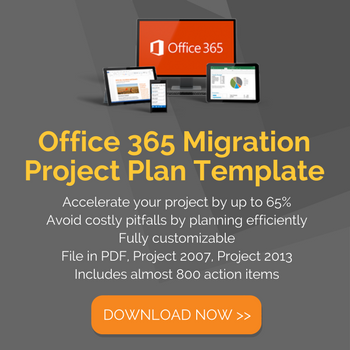 If you have to migrate 10,000 users, that still amounts to a project budget of $6,930,000! In fact, your Windows 10 upgrade or Office 365 migration can become a stepping stone for a successful Evergreen IT migration. Massive legacy IT infrastructure and business applications are not only costly to maintain, they are also inflexible and hold your organization back from adapting to the constantly changing environment in which you operate. It is like trying to navigate a small sailboat with three large elephants aboard! Older infrastructure and applications simply cannot be as flexible as modern infrastructure. Older software limits your company’s flexibility in various ways, e.g., they do not have superior data analysis for better decision making or end user communication and collaboration. They also impact your competitiveness, as older, inflexible technology holds you back from communicating quickly and, of course, generating more business. With Evergreen IT, the idea is to have agile and highly flexible software solutions that are not only always-up-to-date but also change as your company's needs change. No one likes their IT landscape being exposed to security threats. However, according to IBM's 2015 Cost of Data Breach Study, the average consolidated total cost of a data breach is $3.8 million — a 23% increase since 2013! This is a very scary number for any business. And security risks are the number one danger of older technology: the older your operating system or application, the easier is it for hackers to exploit vulnerabilities. A study by Trustware showed that 96% of all applications tested in 2013 have one or more serious security vulnerabilities. The median number of vulnerabilities per app has jumped to 14 from last year’s count of 13. By adopting evergreen IT, the landscape should always be maintained in a secure state. While software usually does not come with a "as-is" warranty, it does include often a limited warranty that offers maintenance updates, a reporting channel for problems (e.g., support forum), a recourse to remedial support and/or refund, access to a help desk and in case of custom software a contracted eligibility to change requests. If you do not have your software assets within warranty, you are running the risk of having no support or service on it if it fails. Last, but not least, Evergreen IT provides organizations with all the benefits that come with perpetual migration and stock management. Just as with agile, or lean software development, the roll out process is much shorter and more frequent than with the traditional process. Stock management enables IT departments to proactively replace hardware that reached the end of its lifespan. It also allows you to move people to the new release Windows 10 within a business as usual break fix event. Often times, it is easier and quicker to rebuild the same machine with a new image then upgrading applications separately. Perpetual migration, on the other hand, refers to an ongoing management on a user-by-user basis. Instead of doing big bang email or desktop migration, you consistently keep your entire landscape up-to-date. With Windows 10 being a software-as-a-service, smaller, incremental updates are rolled out frequently in a controlled manner. As part of perpetual migrations, you can also red flag users who are behind in their software or hardware requirements and update them on a as-needed basis. The same goes for file storage, Instead of migrating 30 terabytes of data of years and years of stored, but unmanaged files, with Evergreen IT, you manage and archive files as you go. In other words, Evergreen IT makes all software, file storage, and hardware management an ongoing, iterative and self-improving process that will allow you to operate smoothly and leverage the agility and flexibility of your software solutions to gain competitive advantages all while keeping your organization protected. Now that we have examined all of Evergreen IT's benefits, we must address the challenges and hurdles that you will encounter on your path to Evergreen IT. Reaching Evergreen IT is by no means easy. Evergreen IT will only be successful if the company undergoes a company-wide organizational shift towards managing processes efficiently and fluidly. This is crucial. Generally, companies with a flat hierarchy, short approval processes, and a corporate culture that quickly adapts to change are the best fits. 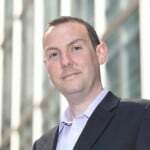 Having said that, the number one success factor for Evergreen IT is executive buy-in, as this IT shift requires not only a significant change in thinking, but also more upfront investment before the costs will decrease. There is also a cultural shift that needs to happen. There is a lot of apprehension around the thought of continuous updates and possible loss of control. Evergreen IT is a concept that must be grown into, not switched on overnight. There are many processes (e.g., procurement, license management, asset management, service requests and service integration) that will need to be redesigned to support the much more frequent needs for managing your IT landscape on a continuous basis. You also need rock-solid vendor relationship management, including a central place to store all the end user states (current state vs. available state). From a technical perspective, this means you will need to ensure you are on top of your asset information at all times and be proactive rather than reactive! As IT landscapes become increasingly complex and harder to manage, big bang migrations and ad-hoc hardware refreshes are no longer a feasible option. Evergreen IT will become the norm and organizations will maintain their on- and off-premise infrastructure and applications. IT departments must begin paving the way to achieve Evergreen IT in order to stay competitive, prevent data breaches and remain flexible to react to changes in their business requirements. This will not only require a shift in thinking and organizational structures/processes, but the technical ability to surface all end user assets with a central command and control center, like Dashworks, which builds on one version of the truth to initiate and track thousands of end user change events. 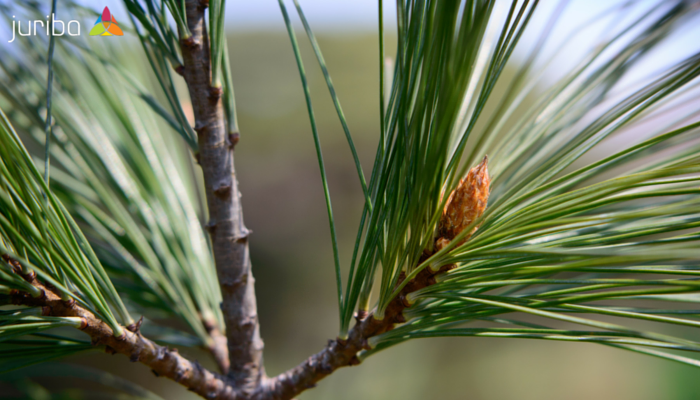 Are you concerned about how Evergreen IT will impact your organization? Do you have questions about how to best implement Evergreen IT in your organization? Schedule a no-strings-attached 60-minute consultation with one of our specialists to discuss your IT plans for 2017 and beyond, and leverage our decade-worth of experience gleaned from successfully migrating more than 5 million assets. Simply click below to schedule your consultation. Want to download this article as a PDF? No problem. Simply fill out the form below and you will be able to download the PDF version of the article right away.